This pair of Steel Vambraces will go with a large range of period outfits and weapons. They are nicely formed and lined with leather, designed to be worn on the lower arm. Straps on the inner arm adjust so it will fit almost anyone. 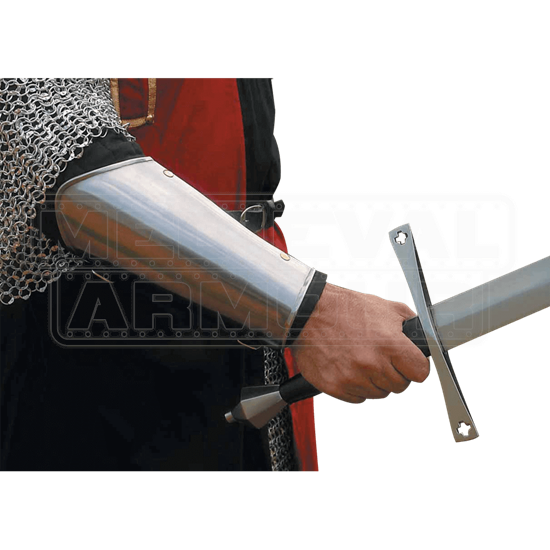 When the head and hands were protected by armor, the lower arm was one of the prime targets in swordplay. In many cases it was the only piece of armor worn, most often along with a mail shirt. Our Steel Vambraces are sold as a pair.